So you want to sleep in the wide open world of nature without freezing to death over night. This is a rather typical human concern. Based on my experience, folks gearing up for outdoor adventure often think of a sleeping bag before they think of anything else, even their footwear or their backpack. Quite understandable. I can walk a few miles in any shoe with some snacks and a water bottle in an old school bag and head out into the woods for the night. When I get to my camp, however, if I plan on sleeping, I am going to need something to keep me warm if I want to get any shut eye at all. Shivering and snoozing do not go hand in hand. 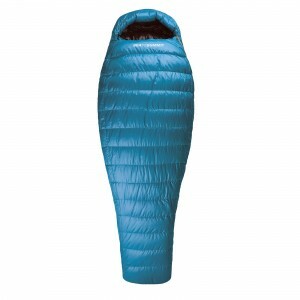 The sleeping bag, unlike much of backpacking’s more esoteric gear, is a common item to have lying around whether or not it has ever been used in the open air. You may have one sitting around from your childhood or have placed one in the trunk of your car for emergencies. But now you’ve gotten the itch for adventure and you’re wondering about wandering a bit. Is your old Batman sleeping bag going to cut it when the winds start whistling through the pines? To tell you the truth, probably not. If you want to get out and stay out, a good sleeping bag can be the difference between an enjoyable morning sunrise hike and a sleep-deprived slog back to car. That being said, there are a lot of sleeping bags out there, made for different purposes, and at a variety of price levels. 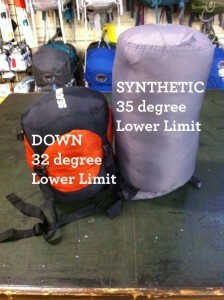 This blog will serve as a map to guide you to the correct bag for your situation. First off, let’s talk about ratings and standards. 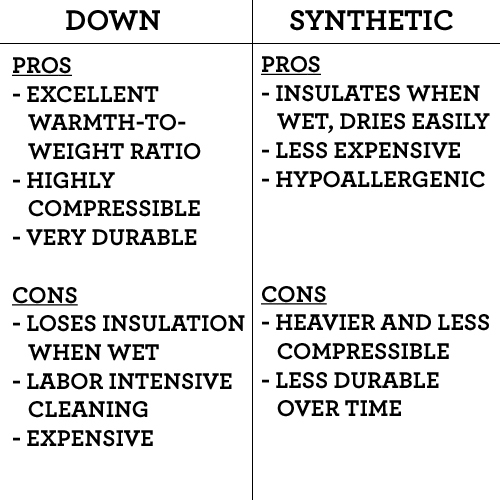 Understanding the modern method of rating sleeping bags for warmth will be important while choosing your new bag. You may have been in this situation before: you’ve borrowed a friend’s bag and the tag claims that it is a 0 degree bag, so you take it out when the temperature drops down to 20 degrees and end up clacking your teeth all night. Such a situation would leave a sour taste in anyone’s mouth concerning so called “ratings”. When it comes to survival, you need to know the capabilities of your gear. If companies are labeling their products with misleading information, how are you supposed to know what you are actually getting? Enter the EN Rating, more accurately known as the European Norm 13537 Standardized Rati ng for Insulation. In 2005, a standard testing and rating system was established in Europe and, soon after, reputable sleeping bag companies across the world began to follow suite. Utilizing a standardized, third-party system to test the insulation of sleeping bags (involving metal dummies and such. Read more), the EN rating tests how a sleeping bag retains warmth while keeping in mind that different human bodies will produce different levels of heat while sleeping. Instead of a bag being rated with a simple number, such as 0 degrees, an EN rated bag will have a range of temperatures: Upper Limit, Comfort, Lower Limit, and Extreme. Upper Limit refers to the temperature at which a standard man* can sleep without sweating. Comfort refers to the temperature that a standard woman* can sleep comfortably, in a relaxed position, all night. Lower Limit refers to the temperature that a standard man* can sleep for 8 hours without waking because of the cold. Extreme is the minimum temperature that a standard woman* can remain at for 6 hours in the bag without incurring hypothermia. *A standard man is described as 25 years old, 5’7″, and 160 lbs. A standard woman is described as 25 years old, 5’2″, and 130 lbs. Obviously, this does not describe everyone. The EN rating should be used as a guide more than a guarantee. If you sleep hotter or colder than others, adjust accordingly. As a general rule, the larger you are, the more heat you produce. 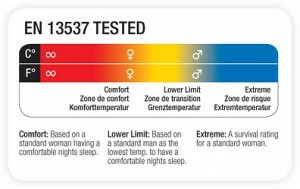 They are assuming in these ratings that a standard man is larger than a standard woman and thus produces more heat as they sleep. For example, my sleeping bag has an EN rating of 41 degree Comfort, 32 degree Lower Limit, and 5 degree Extreme (note: many bags do not include the Upper Limit. I guess they assume that you know when you are too hot and can unzip the bag and cool off in that case). I am a fairly hot sleeper, being 6′ and 215 lbs with huge muscles and a grizzly beard. The 32 degree Lower Limit is rather on the money for me, though I can stretch it a few degrees below freezing without suffering much sleep loss. The 0 degree bag mentioned before could have been marketed that way to advertise its extreme rating only, meaning its lower limit was probably more around the 25 degree range. Keep in mind that this rating takes into account the user’s sleeping clothes, a ground mat, hydration levels, food intake, and even the few degrees of warmth a tent may provide. 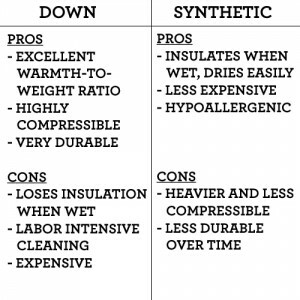 While we are on the subject of insulation, let’s step back for a moment and consider how sleeping bags work in the first place. When you are out in the woods, away from your furnace and fireplace, you are your own heater. More specifically, the calories you eat metabolize into energy which is given off as heat. Your body can’t help but heat the air around you. The nature of heat is to move. Without insulation, the heat you are giving off will move away from you to a colder place and will continue to do so as long as the air outside remains colder than your body. The goal of insulation like your sleeping bag is to trap this heat and form a buffer around you from the cold air. You produce heat, the bag catches it, and you feel like the air around you is warm. Different bag shapes allow you to customize how efficient you are at capturing this warmth. In cold temperatures, you want as much of your body ensconced in your bag as possible. Enter the Mummy bag. The most efficient of the bags at retaining heat, many modern backpacking bags use this shape. With a mummy bag, you are able to cover all of your body except for your mouth and nose (which you don’t want covered. Breathing is nice. Not filling your bag with the liter of water you breathe out at night is even nicer). The Mummy Bag is a tight fit. This is a part of its design. The less air between your body and the bag, the less air you have to warm before it gets caught in the insulation. This can be uncomfortable for some. It takes some practice for most to sleep in a fetal position with little room to move inside of a bag. Despite this drawback, the Mummy Bag remains popular and this is why: unmatched heat retention. You don’t see as many Rectangular bags in backpacking these days. The heat you loose from ha ving such a free, open style is enormous. That being said, when the nights aren’t so chilly and you simply need something to cover up with, a lightweight rectangular bag can be just the thing. Rectangular bags can also open up into a convenient blanket. Little to no restriction of movement is the big seller here. 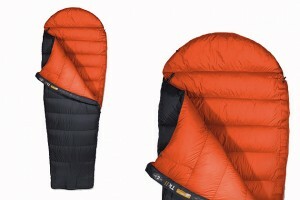 Some companies have begun the manufacture of insulated quilts that serve a similar function. If the Mummy style is so uncomfortable to you that you are not able to sleep, the loss of a bit of warmth may be worth it depending on the weather. Luckily, people c an be smart and inventive. There is a compromise between the two styles and it is called the Semi-Rectangular bag. With this style, the user can customize the bag depending on the temperature. The body of the bag is looser fitting than a mummy, allowing more room for movement within the bag. The top is open like a rectangular bag, but with a hood and drawstring, letting you “mummy up” in the middle of the night if the temperature drops. The ability to unzip the entire bag is also present for warm weather conditions. The Semi-Rectangular bag is the best of both worlds in many ways, though not as much a bag of extremes. A Mummy bag will be capable of greater warmth. A Rectangular bag will be looser and allow more movement. The Semi-Rectangular bag is a great compromise, however. Big Agnes has bags that contain a sleeping mat sheath on the bottom, meaning that instead of the insulation on the bottom of the bag being compressed while you roll around on your mat at night, the mat fits down the back of the bag. They contain a hood like a mummy bag, but are more roomy in the middle to allow for movement. With this style, rolling off of your mat at night is not an option. However, this requires that you always use your sleeping mat (which is a good idea anyway). As you might expect, people are divided on this subject and for good reason: both types of insulation are useful in certain situation. Guaranteed to be soaking wet? Synthetic might be a better choice. Going for fast and light? Go Down. These days, a few companies are also utilizing Hydrophobic Down, which resists being saturated with water, retains its loft even when wet, and remains lighter and more compressible than synthetic. For more information on Hydrophobic Down, click here. To read more about down in general, including info on different fill weight, click here. Say that you have a 30 degree bag which will be great for the first few days of your hike, but on your third day, you’ll be sleeping at elevation and are afraid that your bag won’t cut it when the temperature drops. Do you have to take two bags rated for different temperatures? No! Enter the sleeping bag liner. These are micro-fleece liners for your bag which come in a variety of weights. Liners can drop the temperature rating of your bag up to ~20 degrees and also help to keep your bag clean (which helps with the durability of the insulation and saves you a lot of effort). Read all about it. Now that you’re familiar with the way sleeping bags work, how they’re shaped, what they’re stuffed with, and how they’re rated, it’s time to choose your bag. When making your choice, consider the following: price, weight, packability, durability, comfort, and appropriate temperature range. Know what adventures you’re planning, what weather you can expect, how long you want your bag to last and how light and compressed you need the bag to be. There is no right bag for every adventure, unfortunately. If you are into winter camping in Alaska, your bag probably won’t do for an Appalachian Trail thru-hike and vice versa. At RRT, we carry a variety of different sleeping bags for a variety of purposes. To read more about the different styles of bags we offer, click on any of the links to the brand websites below. The best thing to do, of course, is to stop in the shop, talk to one of our knowledgeable staff members, and actually crawl into a few bags to see which one is right for you.